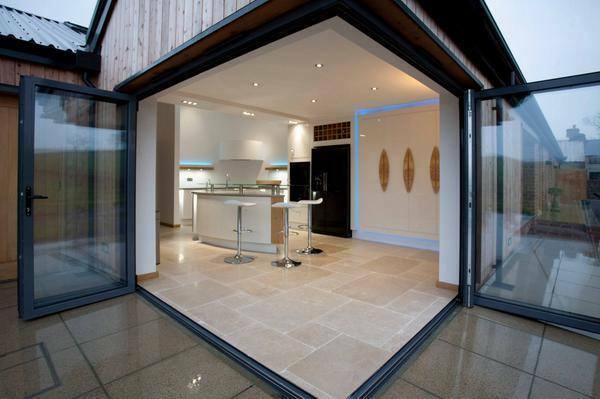 Folding Sliding Doors are the most advanced solution to merge or divide interior and exterior spaces. 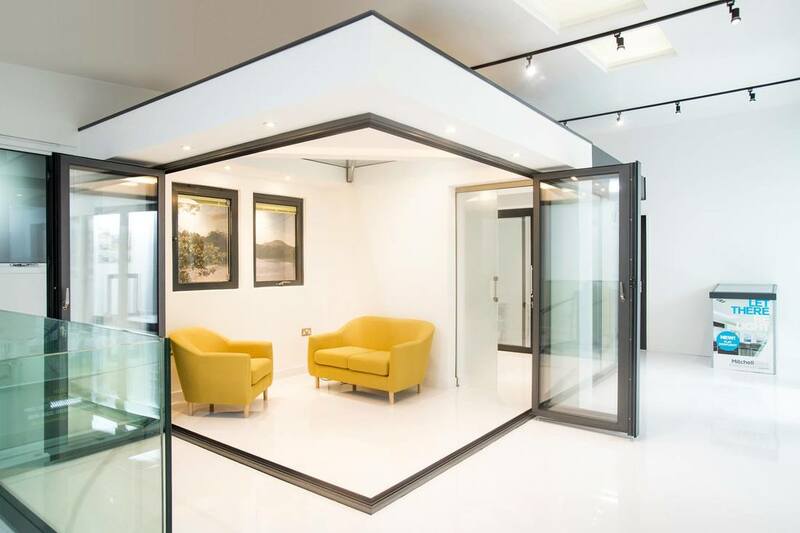 Our latest generation of folding sliding doors combines the flexibility to open large openings while provide extraordinary strength and security. All our folding sliding door systems are made to size and get customized to be the perfect fit for your application. All aluminum folding sliding door systems are designed for application with a low thermal performance profile. Insulated aluminum folding sliding door systems are designed for applications with a medium to high thermal performance profile. Our aluminum/interior wood clad folding sliding door systems are designed for application with a medium to high thermal performance profile. Due to the fact that the base for those systems are our aluminum systems, we can use almost any wood species for the interior design of the product. Laminated all wood folding sliding door systems are designed for applications with a medium to high thermal performance profile. Those systems help you to meet your design wishes, to give your project this natural touch. Do you need help to find the right solution for your application? The most important part for a great experience is the pre-sales support. To let your project become a full success, it is needed to get the project planned propperly ahead of time. Find out your goals, needs and figure out "The Best Solution For Your Application". To configurate or even design your customized solution, it is important to have an open minded, trustfull and experienced partner. Who is the right partner? You can´t be better supported than dealing with one of the first companies focus on those exceptional products. We don´t just sell a product, we want it to become a success for everyone involved. Most important are the investors/homeowners/users, since they have to deal with the product for a very long time.